These FCRA compliant pre-employment screening credit reports do not result in a credit "inquiry" and do not adversely affect an applicant's credit history. The information contained in these credit reports includes bankruptcies, liens, judgments, and a credit history which provides a summary of how the applicant manages his/her financial obligations. These employment screening credit reports are also useful as an additional source of identity verification as they provide information on the applicant’s aliases, social security number, address history, and employment history. The use of employment credit reports is highly restrictive and must be managed with great care. 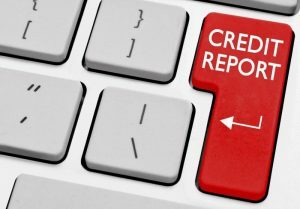 There are restrictions on the use of and discussion of an individuals credit report. Denying employment based on a credit report must be done in accordance with certain procedures. Unlike some other information or public records that may be a part of a background check, credit reports are considered highly sensitive personal and private information. Employers must make sure, that under no circumstances do they order a credit report without the express written and signed authorization of the applicant. It should be noted that FCRA regulations require an applicant to be notified if adverse action is to be taken as a result of information that was reported in a consumer report. Moreover, the credit bureaus impose strict requirements on us and our clients with regard to the handling of the credit reports they provide. In the case of Employment Credit Reports, the employer is not permitted to discuss any part of a credit report with the applicant. Even if information contained in the credit report is the reason the applicant will not be hired. Nor, is the employer permitted to provide a copy of the credit report to the applicant. If the applicant wishes to request a copy of their credit report, they must contact us (NES/ABS) directly to request a copy of their credit report. If information contained in the credit report is the reason for the applicant not being hired, In this case, we will send the preliminary notice of adverse action on behalf of the prospective employer. And, approximately 5 days later, if the applicant has not disputed anything on the credit report, we will send the final notice of adverse action to the applicant on your behalf. Beginning October 1, 2013, the state of Nevada has joined other states that have passed legislation that restricts an employer’s ability to use credit information as a part of their pre-employment screening process. Over the past few years, the states of California, Colorado, Connecticut, Delaware, Hawaii, Illinois, Maryland, Oregon, Vermont and Washington have also passed similar legislation. New York City also has laws regulating the use of credit reports in hiring. These states have made this decision using the assumption that credit reports have been declared to be an unfair method of determining a person’s ability for general employment purposes. However, some of these states have made specific circumstances in which credit reports can still be used as a part of a pre-employment screening background check. As an example, California does allow the use of credit reports for positions that involve direct involvement with law enforcement, positions with the Department of Justice, finances or positions in which the information contained is required by law to be disclosed or obtained. Check your state laws for any specifics that apply to your state before using employment credit reports.